Specialising in the classic Mk 2 line-up of Gillan, Glover, Blackmore, Lord and Paice, PURE PURPLE go to great lengths recreating that immense classic ‘70s sound using a Hammond organ with Leslie speakers just like Jon Lord, alongside Blackmore’s trademark Marshall amps and Fender guitar. Expect Mk 2 classics including Highway Star, Child In Time, Woman From Tokyo, Smoke on the Water, Black Night, Strange Kind of Woman, Lazy, Speed King, Fireball and from a few years later Perfect Strangers. Albums from the MK 2 era include ‘In Rock’, ‘Fireball’, ‘Machine Head’, ‘Made in Japan’ and later included ‘Perfect Strangers’ and ‘Hell or High Water’. 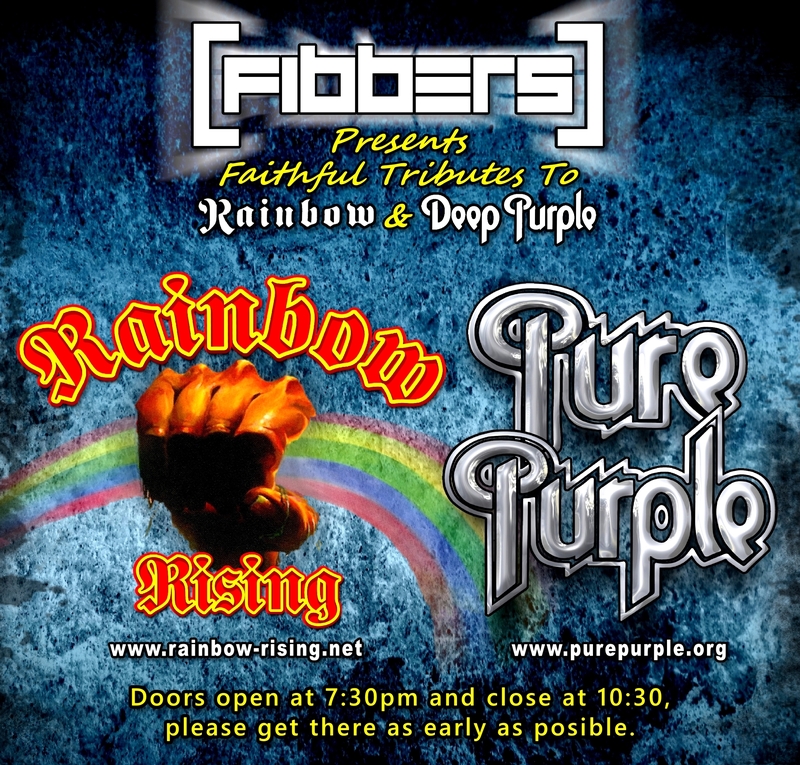 RAINBOW RISING formed in ’96, not only to recreate the unique Rainbow sound but to also capture the spectacular live show as well. This is a group of musicians with an almost fanatical interest in Ritchie Blackmore’s Rainbow, and it shows with amazing attention to detail, with the aim of recreating the live Rainbow experience in every aspect. From stunning vocals, thunderous percussion and bass, to dazzling keyboards and of course the unmistakable Blackmore guitar work. The band perform all the classic live Rainbow tracks, but the iconic ‘Rainbow Rising’ album remains the backbone of all performances.